Fencing is an ancient sport that has been modified and improved over hundreds of years. Fencing is one of only five sports that has never been absent from the Summer Olympics and is regarded as a very prestigious sport. While traditionally fencing was until first blood was drawn, the sport has developed and along with it strict safety measures in the way of protective gear and rules have been set in place. Fencing has long been regarded as a safe sport for participants and spectators to enjoy. 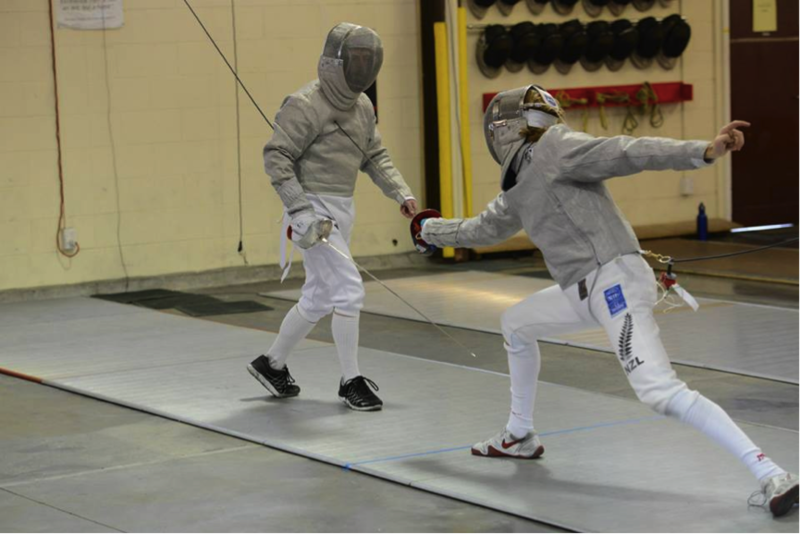 In fencing there are three main weapons, or styles of fencing, these are Foil, Épée, and Sabre. 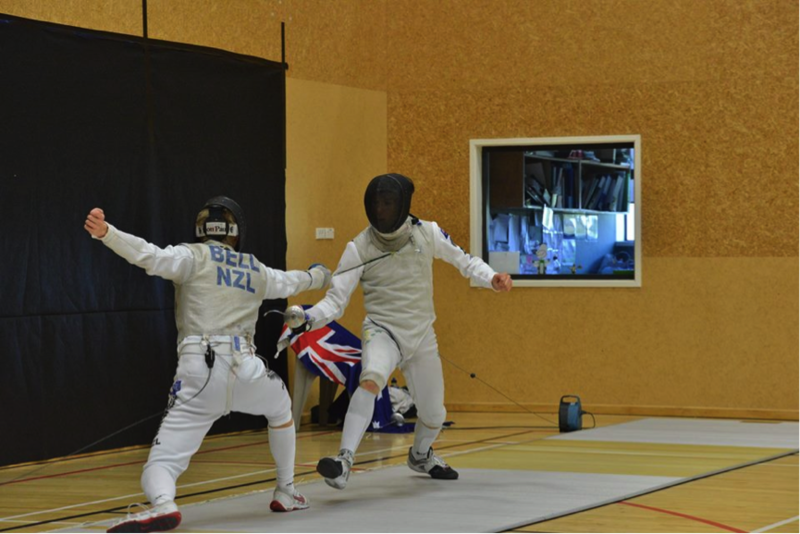 Foil is the most commonly fenced style in New Zealand and is used by most coaches here to teach the basics of fencing. Many students then branch out to try the other weapons, while they can appear quite similar to spectators, the rules vary significantly between each style. In foil participants wear a metalic vest called a lamé which is the target for their opponent to hit with the tip of the blade. A foil is lightweight compared to the other weapons and has a smaller hand gard. Foils have a small button on the tip that must be pushed down on the oponents target in order for a point to be scored. If both oponents hit at the same time a referee is used to make a decision as to who had the right of way and over all who gets the point awarded to them. Épée is slightly different in that the oponents whole body is your target so participants do not wear lamés like in the other styles. Épées have a larger hand guard than foils to protect the users hand better from the heaver much stiffer blade that is used. Just like with foil points are scored by pushing down the tip of the weapon on your target. In épée both opponents can score a hit at the same time if they hit within 40 milliseconds (1/25 of a second) as each other. While this sounds difficult it actually occurs quite frequently. 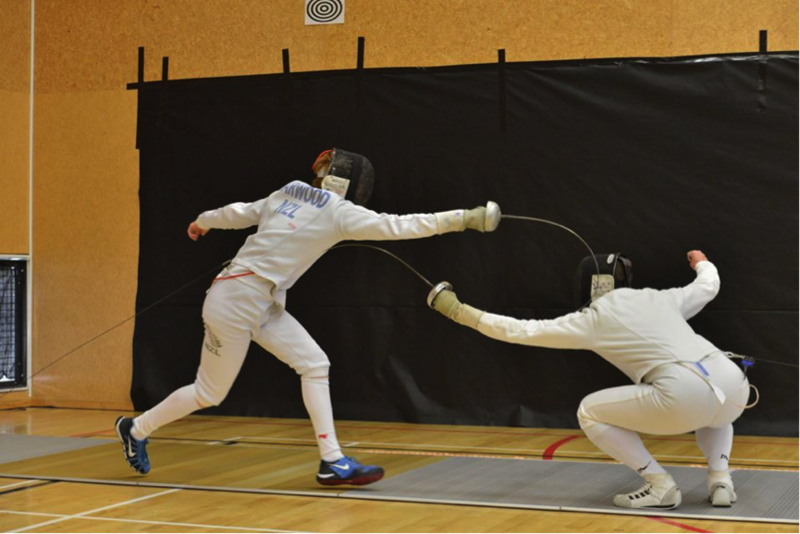 Sabré participants, like in foil, wear lamés however instead of just covering the chest and back the target for sabre extends down the arms and also includes the mask that participants wear as valid target. The key thing that separates sabré from the other styles is the way the weapon works, instead of a button on the tip, participants can score against their oponent using any part of the blade and any level of contact on target will mean they are awarded a point. Like in foil if oponents hit each other at the same time a referee decides who gets the point based on the rules.